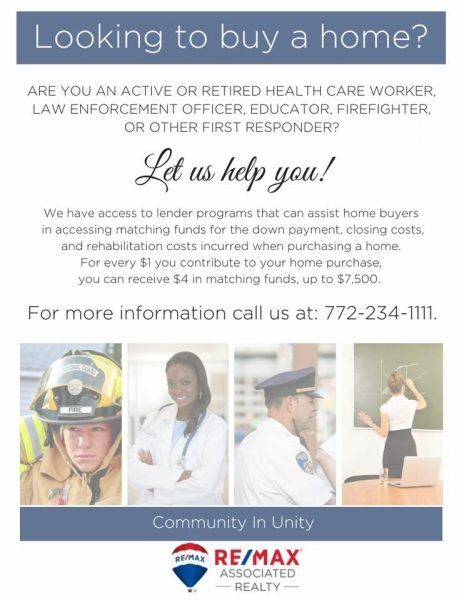 Are you an active or retired health care worker, law enforcement officer, educator, firefighter, or other first responder? 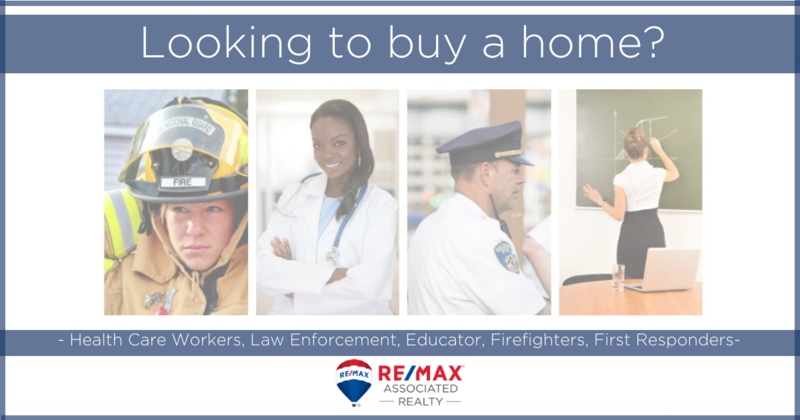 Let us at RE/MAX Associated Realty help you! We have access to lender programs that can assist home buyers in accessing matching funds for the down payment, closing costs, and rehabilitation costs incurred when purchasing a home. For every $1 you contribute to your home purchase, you can receive $4 in matching funds, up to $7,500. For further information please call our office at 772-234-1111.